Today is Pi Day! 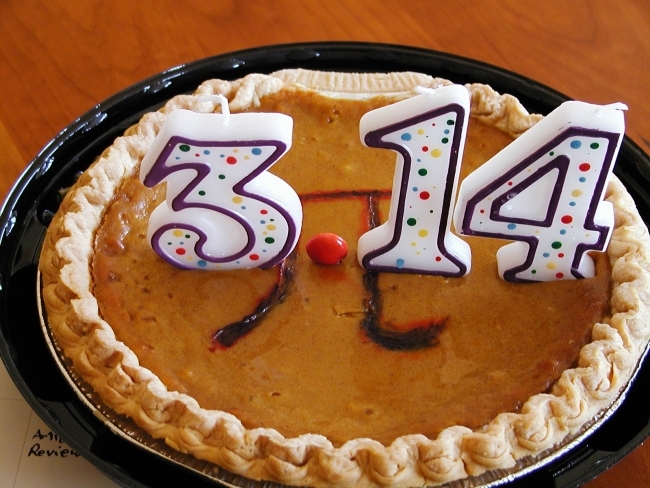 Here are some Pi jokes to help you celebrate. Hooray! In Alaska, where it gets very cold, pi is only equal to 3. As you may know, everything shrinks in the cold. An engineer, a physicist, a mathematician, and a nutrition were asked a question, "What is pi?" The mathematician thought a bit, and replied "It is equal to pi". A nutritionist: "Pie is a healthy and delicious dessert!" Never talk to pi, he'll go on forever. Did you know that 3.14% of all sailors are Pi-rates?